AMMAN – HE Dr. Talal Abu-Ghazaleh received in his office the Brazilian Ambassador to Jordan HE Mr. Francisco Luz and discussed Talal Abu-Ghazaleh Organization's strategy in expanding in the South American Country through a new office in São Paulo, the newest addition to the 110+ offices around the world. 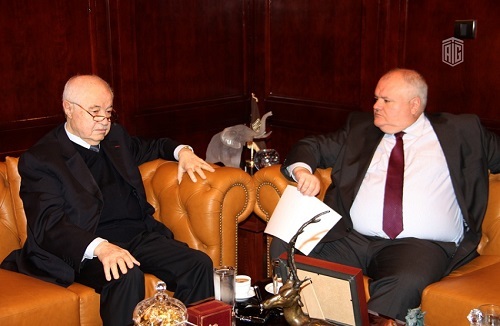 Dr. Abu-Ghazaleh stated that the new office will soon start operating in São Paulo, Brazil’s vibrant financial center, which is among the world's most populous cities. “We are very excited to have a strong presence in Brazil and present our wide range of services to local clients starting with our Intellectual Property Services provided by Abu-Ghazaleh Intellectual Property (AGIP) to our consulting and other key services. All documents of the new office are being finalized and the now we are selecting the location for the office," Dr. Abu-Ghazaleh said. “We expect great growth in Brazil as we will be focusing on our other global services, including teaching languages, computer literacy, translation, electronic archiving and consulting services which will be provided in cooperation with local partners,” he added. TAG-Org's office in São Paulo will be managed by Mr. Issam Saldanha, a Brazilian national, who is also the grandson of Dr. Abu-Ghazaleh and will open the door to promote all services in Uruguay and Paraguay. 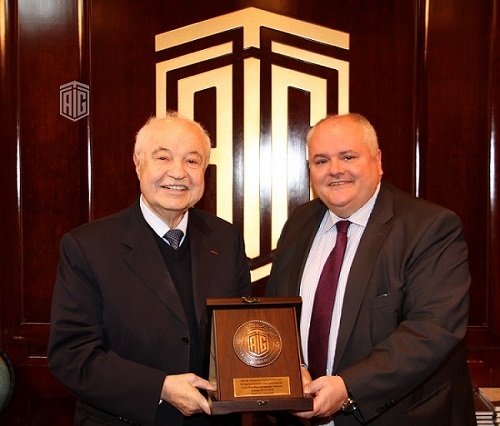 At the end of meeting, Dr. Abu-Ghazaleh presented HE the Ambassador with a shield of appreciation for the Ambassador’s contribution to the Jordanian-Brazilian relations.